UNITED NATIONS — Countries participating in a UN-led stabilization mission in Haiti on Wednesday pledged their continued support, citing encouraging signs the government is taking calls for electoral reform seriously. But during a Security Council debate on the mission, known as MINUSTAH, more than two dozen countries, nearly half of them in Latin America, said they would like to see more progress in Haiti’s long-delayed Senate and local elections. Council members and other countries participating in the mission expressed concern that IT would falter if those elections were not conducted by December. They indicated support for MINUSTAH’s mandate into 2014 and generally accepted Secretary General Ban Ki-moon’s proposal for a 15 percent drawdown of the more than 6,200 military troops there. 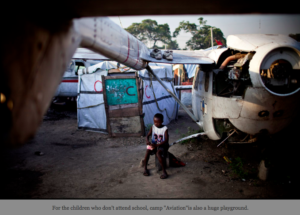 But the tone of Council members betrayed a growing impatience with alleged human rights violations there, the nine-year-old MINUSTAH and a deadly cholera outbreak that has swept the country, claiming more than 8,200 lives since 2010. Brazilian Ambassador Regina Maria Cordeiro Dunlop said her country continues to have “confidence in the Haitian people’s determination to persist and succeed in their quest for independence, stability, democracy and prosperity” despite recent domestic protests against Brazil’s participation in the MINUSTAH..
Argentina, which holds the rotating Security Council presidency this month, did not indicate a waning regional commitment. “Naturally, we have a special commitment to our region of Latin America and the Caribbean and our decision to continue cooperating with Haiti bilaterally and through our regional organizations like UNASUR and CELAC,” said Agustin Rossi, Argentina’s minister of defence, who chaired the meeting. The show of support to the U.N. mission came as Trinidad diplomat Sandra Honore, Ban’s recently appointed special representative to MINUSTAH, presented her first report to the Security Council. Denis Regis, Haiti’s U.N. ambassador, announced Tuesday’s completion of a draft electoral law that may clear the way for elections. Honore said she left the debate convinced that every participant remained sympathetic to Haiti and its election stalemate. “One recurrent call that I heard in the Council was for dialogue by all the national stakeholders in order to arrive at a minimum political consensus that would facilitate the country moving toward the election,” she said. The frustration among some Latin American MINUSTAH participants could stem from a combination of philanthropic and political motivations, says Dan Beeton, communications director for the Washington-based Center for Economic and Policy Research. “There is a certain level with which the governments want to believe that there is some good being done there,” said Beeton, who visited Haiti after the 2010 earthquake to speak with residents about MINUSTAH. Latin American countries participating in MINUSTAH are in it for the “long haul,” said Guatemalan Ambassador Gert Rosenthal.